Everything about Barefoot caravans is unique: from the curvy fibreglass body in a lovely array of colours, to the free flowing interior and the specially designed galvanized chassis. We have gone to great lengths to make sure that the Barefoot caravan is beautifully styled, inside and out, built to the highest standards and lightweight, so that it is easy to get up and Go-Barefoot. Cathy Chamberlain, Mike Williams and Ben Matthews, with years of expertise in business and manufacturing, worked together for 4 years to design and build the Barefoot caravan. We all love the outdoors, whether it’s climbing a mountain, cycling down one or sitting with a cold drink on the beach. And we love festivals ….. but not the camping. We wanted to create the perfect travel companion that was stylish, luxurious and easy to use – we are really proud of the modern British classic we have created. We will be very happy to tell you more, if you give us a call, drop us an email or come to see us at one of the events we are attending soon. Who Makes the Barefoot Caravan? 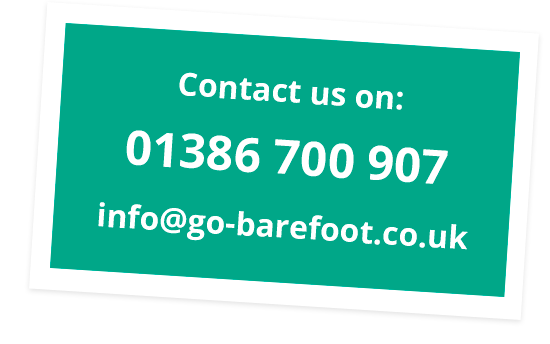 The Barefoot Caravan is made to the highest standards in Great Britain by leading manufacturers. The monocoque fibreglass body, galvanised steel chassis, and many other parts have been designed and built by many fantastic British manufacturers. 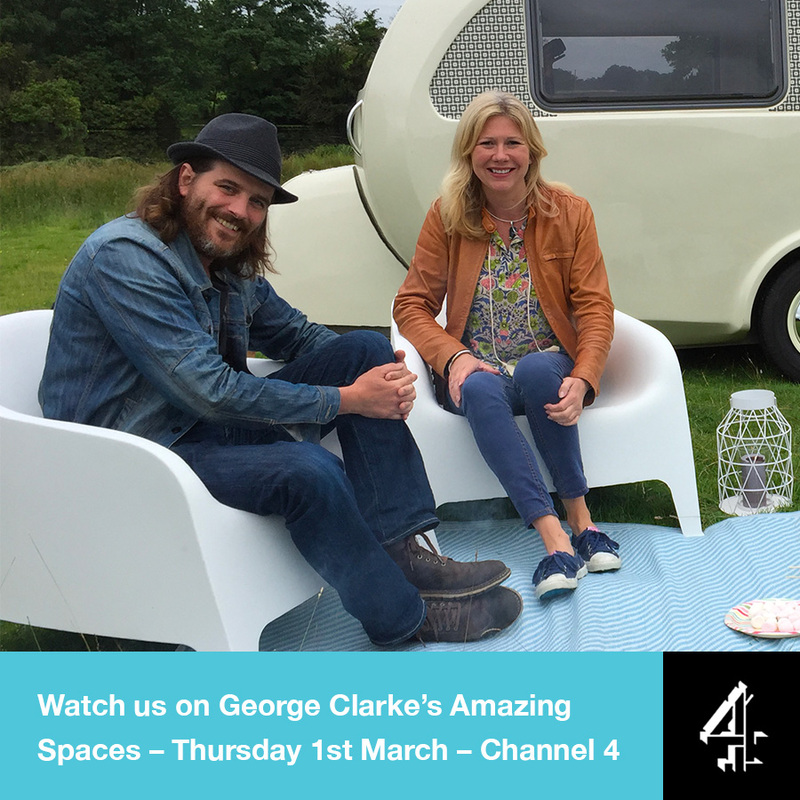 We’re on George Clarke’s Amazing Spaces!